Hey boys and girls! I recently detected, on email preview tests, that firstname and lastname of celebrities were automatically underlined on iOS. Has anyone ever heard of this? I found (at least I think) a beginning of explanation: it only applies to celebrities with a Youtube, Deezer, Spotify or TuneIn account. If we try with Donald Trump or Denzel Washington, no underlining. But with Thom Yorke or Bruce Springsteen, there is underlining! Did you know that? Would that solution also affect addresses, telephone numbers, etc? This is a feature of Apple Mail on iOS probably since iOS 10. But you're right in the way that this is not very documented. 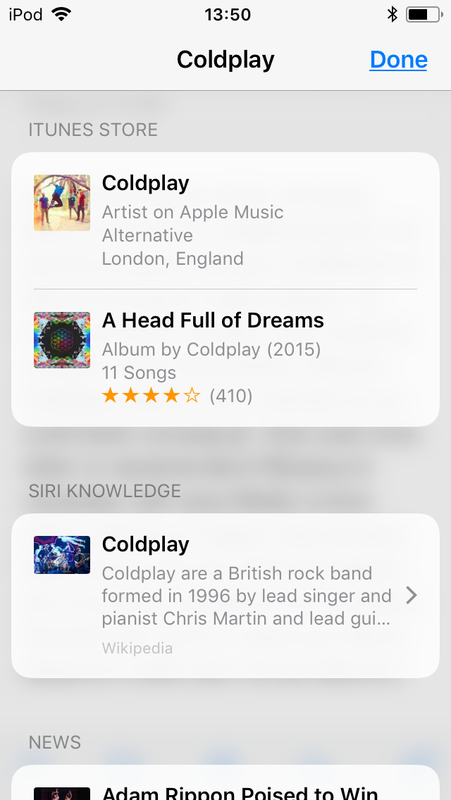 Apple Mail creates automatic links towards certain contents available on iTunes. So as you noticed, mostly singers or bands. Clicking on the link created opens a popup with previews of available content. Here's an example. As far as I know, there is no proper way to prevent this. However, you can hide it and prevent the links to be clickable. 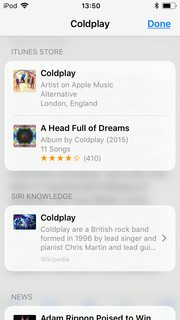 Apple adds a x-apple-data-detectors="true" attribute on each created link. So you can add the following styles in the <head> of your email to hide this.